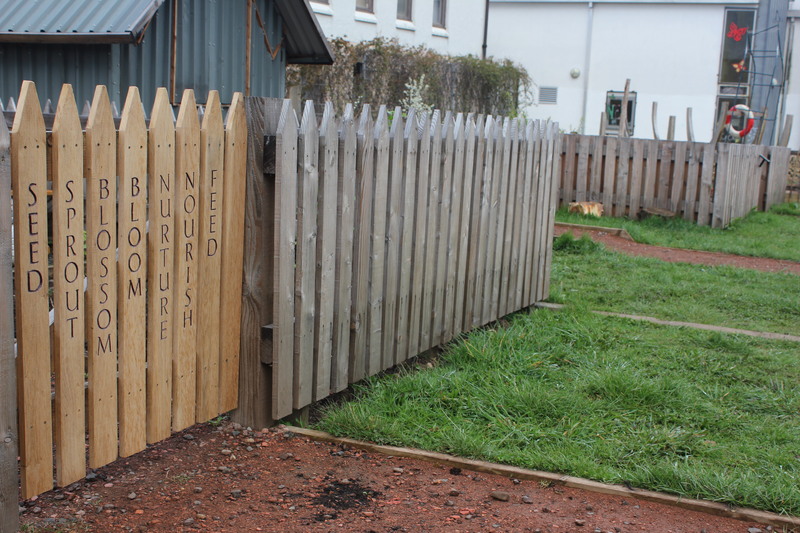 Natalie Taylor (our artist-in-residence) has been running a course on letter cutting with local residents, and the resulting work has just been installed in the garden. 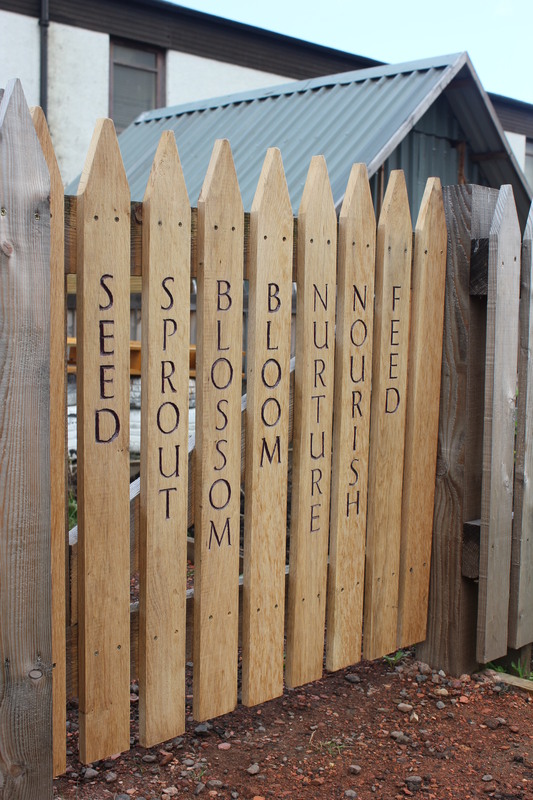 The group worked with poet Ryan Van Winkle to create a poem relating to the garden and gardening, and each carved a fence plank. The results are simple and touching. Do come and visit the garden to see the work.